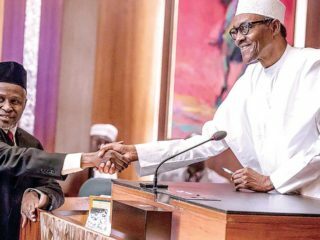 The year 2017 would be remembered for several dramatic events that played out in the nation’s judicial sector.It would be particularly remembered as a year in which the voice of the people prevailed against the whims and caprices of few as witnessed in the unnecessary plot to deny Justice Walter Onnoghen confirmation as the Chief Justice of Nigeria (CJN). Aside the sustained pressure and campaign, which forced the executive to confirm him as CJN, it would have been a different story altogether as the Aso Rock cabals were already weaving spins to justify his denial, arguing it offends no law. Also, for such personalities as the Senate President, Bukola Saraki and the former Judge of the Federal High Court, Justice Adeniyi Ademola, 2017 would be remembered on how their fought doggedly to get themselves discharged from corruption allegations in the courts. However, the sector scored very low in its handling of former National Security Adviser (NSA), Colonel Sambo Dasuki (retired) and the leader of Islamic Movement in Nigeria, Sheik Ibraheem Elzakzaky and his wife, Hajia Zainab Elzakzaky cases.It was also a year the judiciary rose to defend itself from harassment by the executive arm of government through the recent Lagos court judgment that affirmed the exclusive right of disciplining erring judicial officers in the National Judicial Council (NJC). 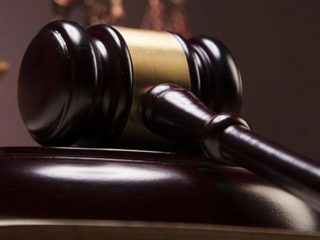 The implication of the judgment was that serving judges could no longer be arrested and tried by the anti-graft agencies, until NJC finds them guilty of any allegation brought against them.Yet, courts’ failure to deploy its powers in ensuring that several rulings and orders on human rights violation against Dasuki, Elzakzaky and his wife, Zainab, were obeyed by the executive, portrayed the judiciary as weak and an appendage of the executive arm of government. Aware of the negative public perception of the sector with regards to ethical misconduct, the CJN recently announced judiciary’s willingness to join in the fight against corruption by setting up special courts for financial crimes to ensure quick dispensation of justice.Beyond this, there were other reforms going on in the judiciary as earlier promised by the CJN during his screening and confirmation at the Senate. Onnoghen had assured Nigerians during the screening exercise that if confirmed; he would focus on necessary reforms that would restore public confidence in the judiciary.But the journey towards his confirmation was more elongated and tougher than anticipated. 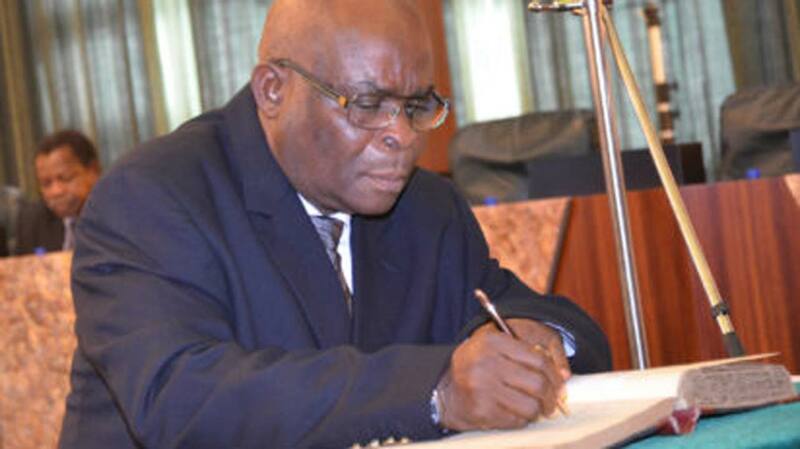 In fact, it took the intervention of all well-meaning Nigerians, including stakeholders in the judiciary, civil society organizations and largely, the media to get the Presidency to act on his appointment.Recall that the former CJN, Justice Mahmud Mohammed had retired from office on November 9, 2016, and handed over the helm of affairs to Justice Onnoghen on November 10 in acting capacity. Before then, Mohammed had on October 10, 2016, a month before his retirement, transmitted Justice Onnoghen’s nomination to President Muhammadu Buhari, as the next most senior Justice of the Supreme Court. In order not to create a vacuum, the Presidency was expected, as a matter of necessity, to forward Onnoghen’s nomination to the Senate for screening and confirmation but that did not happen as political considerations delayed the process.Although Justice Onnoghen was recommended by the Federal Judicial Service Commission (FJSC) and the National Judicial Council (NJC), Section 231 (1) of the 1999 Constitution (as amended), however conferred the power to appoint him on the President, subject to confirmation by the Senate. Thus, the three-month delay in forwarding his nomination to the Senate ignited so much debate in the polity that Justice Onnoghen had to disassociate himself from controversies, legal actions, media campaigns and even ultimatum, issued to the Presidency by some concerned Nigerians.He was finally screened and confirmed by the Senate on February 20 following receipt of a letter dated February 7, 2016, and signed by the Vice President, Professor Yemi Osinbajo, who acted as the President while Buhari was away for medical vacation. His appointment raised some hopes among Nigerians that aside the promised reforms, his encounter with the executive in the course of his appointment would further position him to take the destiny of the judiciary in his hands by ensuring that justice prevails at all times without fear or favour. Beyond the CJN’s issue, another victory against alleged executive’s undue interference in the affairs of the legislature and the judiciary was recorded in the discharge and acquittal of the Senate President, Saraki, by the Danladi Umar-led Code of Conduct Tribunal and Justice Ademola by an Abuja High Court. Saraki’s trouble began after he emerged the Senate President against his Party’s wish. Although he tried vigorously to escape prosecution but his efforts were futile as the court saw needs for him to clear his name in the law court.When the trial finally began, CCT Chairman, Umar left no one in doubt about the fact that he was bent on applying the law. In fact, he bluntly reminded Saraki that his delay tactics would not save him from serving the punishment due to him. But in spite of the threat, Saraki’s high profile legal team led by former Attorney General of the Federation and Minister of Justice, Chief Kanu Agabi (SAN), had dramatically dragged the case, especially in the first seven months by holding the first Prosecution Witness (PW1), Mr. Michael Wetkas ransom far beyond imagination in the course of cross-examination. Hence, his June 14, 2017 discharge and acquittal from the 18-count charge of false assets declaration and other related offences preferred against him by the federal government took many by surprise.The two-man panel led by the same Umar had unanimously upheld the no-case submission filed by Saraki after the prosecution closed its case with 48 exhibits on May 4, 2017.Umar in his lead ruling exonerated Saraki of all the charges for failure of the prosecution to produce evidence. He further described as absurd, the fact that neither Saraki’s statement of account nor the report of investigation said to have been carried out by the team of anti-graft agents, was produced before the tribunal.He also agreed with the defense team that the prosecution’s evidence had been manifestly discredited during cross-examination by the defense, adding that the evidence adduced by the prosecution led by Mr. Rotimi Jacobs (SAN) was “so unreliable that no reasonable tribunal could convict” based on it. Similar fate also smiled at Justice Ademola who was discharged and acquitted by the Federal Capital Territory High Court.The trial judge, Justice Jude Okeke had ruled that FG failed to prove any of the allegations it levelled against the embattled Judge and consequently terminated further hearing on the criminal case.The judge also discharged and acquitted Justice Ademola’s wife Olabowale and his friend, Joe Agi (SAN), who were charged with him. Although he was discharged and acquitted by the court, it wasn’t yet Uhuru for Justice Ademola. He however, had to leave the judiciary in a controversial manner. While the NJC said he was recommended for sack together with another judge of the federal high court, O. Tokode over misconduct, Ademola claimed he resigned voluntarily.The NJC said the purported voluntary retirement was clearly an afterthought, as Council had taken action before his decision to forward any voluntary retirement letter. “The NJC, under the Chairmanship of the Chief Justice of Nigeria, Justice Walter Onnoghen, took the decision yesterday at the end of its 84th meeting, which was held on December 6, 2017,” stated by NJC in a release signed by its secretary, Soji Oye, urging the public to ignore the voluntary retirement story. 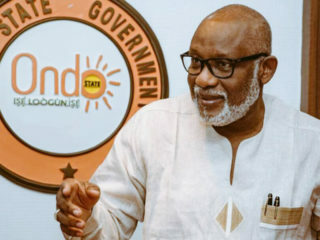 Before this drama happened, the NJC had recalled to duty suspended judicial officers indicted by the Department State Security (DSS) following the midnight raid in their homes. 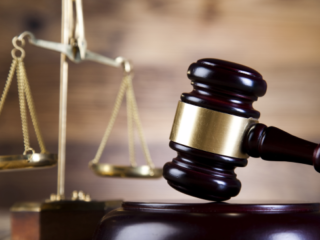 In doing that, the NJC said no charges had been leveled against the judicial officers since their suspension, meaning that the government has no evidence of wrongdoing against them and therefore no more necessary to keep them out of duty. This provoked an outrage of mixed reaction with some arguing that it was hasty to return those officials to duty while others said it was proper to allow them resume work. The fallout was that the federal government filed charges against few of them. Then, considering the battered image of the judiciary as the third arm of government, Onnoghen in the course of the year, introduced some reforms aimed at restoring public’s confidence in the judicial system. One of such steps was the inauguration of a 13-man committee on judicial reform.The committee, headed by the Secretary, Federal Judicial Service Commission (FJSC) Mrs. Bilkisu Bashir, was charged with the responsibility of coordinating a comprehensive reform of the sector. Inaugurating the committee, Justice Onnoghen stated that the establishment of the committee followed his observation of the urgent need to undertake a holistic review of the operations of the nation’s judiciary in order to identify the challenges hindering its efficient and effective operation as an independent arm of government. The committee was mandated to carry out a comprehensive analysis of the administrative structure and operations of the three arms of government with a view to exploring areas of comparative advantage and mutual cooperation. It was also charged to undertake a holistic review of the operations and condition of service of the judiciary for general efficiency and effectiveness; recommend long and short term measures that would help in the overall improvement of the welfare and condition of service of both judicial and non-judicial officers; call for memoranda from former CJNs, Presidents of Court of Appeal, Court Registrars and other stakeholders on the way forward.The committee among other tasks, was equally charged to create a professional and management structure for the administration of the judiciary to be headed by an individual that is well versed in judicial administration; to create a professional judiciary Police department; propose a pooling policy and recommend a rule to empower the Federal Judicial Service Commission to commence the operation of a pooling system of senior officers within the Judiciary. While the committee was still working, the CJN inaugurated the controversial Corruption and Financial Crime Cases Trial Monitoring Committee to be headed by a retired President of Court of Appeal, Justice Ayo Salami.The controversy had to do with the choice of Salami as the chairman of the committee, which may not be unconnected with circumstances leading to Justice Salami’s last days in Appeal Court. But the retired Justice was quick to decline the appointment and was consequently replaced by Justice Suleiman Galadima.The Justice Galadima-led15-member Corruption and Financial Crime Cases Trial Monitoring Committee was to tackle the menace of corruption in the country. The committee was also expected to drive the council’s new policy on anti-corruption war by regularly monitoring and evaluating proceedings at designated courts for financial and economic crimes nationwide. It was also to advise the Chief Justice of Nigeria on how to eliminate delay in the trial of alleged corruption cases; giving feedback to the Council on progress of cases in the designated courts; conduct background checks on judges selected for the designated courts; and evaluating the performance of the designated courts. Worried about public perception on the slow prosecution of corruption cases, the CJN in October 2017, directed all heads of courts to compile and forward to the National Judicial Council, comprehensive lists of all corruption and financial crime cases being handled by their various courts.He also directed them to designate in their various jurisdictions one or more courts, as Special Courts solely for the purpose of hearing and speedily determining corruption and financial crimes cases, while Supreme Court of Nigeria and the Court of Appeal were to fix special date in each week for hearing and determining appeals from such cases.The development was applauded as a right step towards discouraging act of corruption in the country. Meanwhile, NJC was proactive in the disciplinary aspect of its duties with so many officials dismissed, suspended or recommended for various degrees of disciplinary measures.As a new year begins, it is hoped that the recommendations towards reforms would be fully implemented for timely and efficient dispensation of justice in the country.